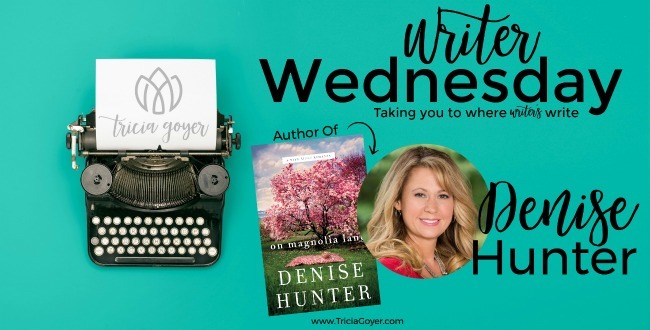 Today on Writer Wednesday we welcome Denise Hunter, author of On Magnolia Lane. 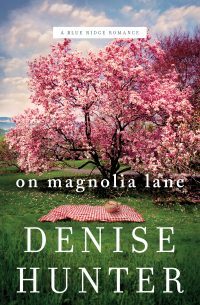 Enter below for a chance to win a copy of On Magnolia Lane! Note: This post contains affiliate links. I’ve loved reading for as long as I can remember. But in my elementary school years, I discovered the Little House series by Laura Ingalls Wilder, and my love of reading soared to new levels. I’m not sure how many times I re-read those books. In the sixth grade, I found a new favorite when my older sister handed me a copy of Jane Eyre. I swooned over Mr. Rochester, and from that point on, love stories were my favorite. What book did you read that first made you want to be an author? It wasn’t one particular book but rather the cumulative effect of many books. As I read I began to dream of writing my own novel. But life was busy so I put the dream on a back burner for years. It wasn’t until my grandfather’s death—and the realization of my own mortality—that I decided to take my dream off the back burner. That was 22 years ago, and I’ve been writing ever since. What was the last book you read, just for fun? What upcoming release are you most looking forward to? I’m always looking forward to Francine Rivers’s next release—I don’t even know what it is, but I know I will buy and devour it. I’m also eager to read Rachel Hauck’s upcoming release, The Memory House. I’m a big fan of hers, and the cover is so intriguing. 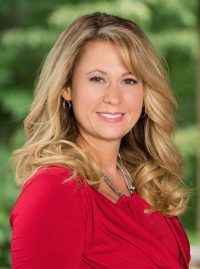 Denise Hunter is the internationally published bestselling author of more than 30 novels, including The Convenient Groom and A December Bride which have been made into Hallmark movies. She has appeared on The 700 club and won awards such as The Holt Medallion Award, The Carol Award, The Reader’s Choice Award, The Foreword Book of the Year Award, and is a RITA finalist. THANK YOU FOR THE AWESOME GIVEAWAY I LOVED LITTLE HOUSE ON THE PRAIRIE BOOKS ALSO!